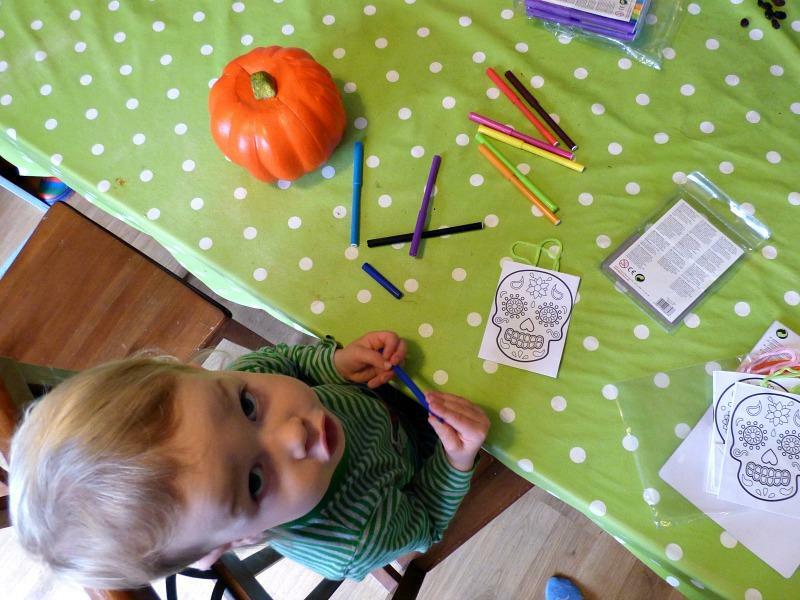 We have been testing out some of Baker Ross’ Halloween craft kits this month and were pleasantly surprised at how much fun they were. We have also been using a set of pens for colouring in the bags (which come in a pack of 3 sets), which can be found Here. 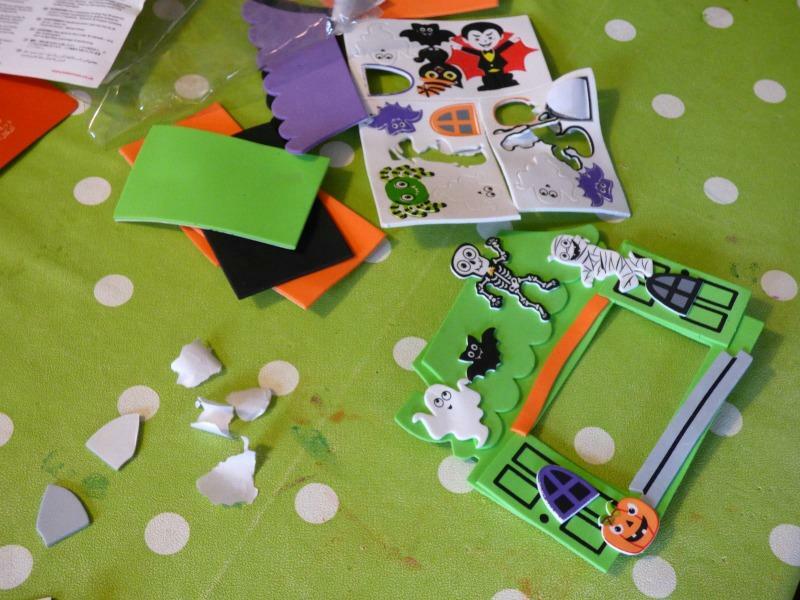 Our 5 year old decided to start on the Haunted House Photo Frame magnets first, which were quick and easy to put together. He especially loved choosing the photo to put in his frame too. This kept them both busy for half and hour, until all the houses were complete. They look great and the only downside to this particular craft is that the magnet doesn’t stick well to the foam, instead you need to glue it (preferably with a variety of strong super glue!!) to the foam, otherwise you will be frustrated at the craft falling on the floor. Next up they tested out the Day of the Dead Mini Gift Bags, which would be the perfect size to give kids at a Halloween party, either already coloured-in and filled with sweets, or as a craft they can do there and fill with their own goodies. 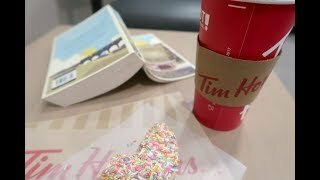 The bags feel surprisingly strong and I’m sure they could take the weight of a good deal of chocolate (just what I look for in a Halloween gift bag!). 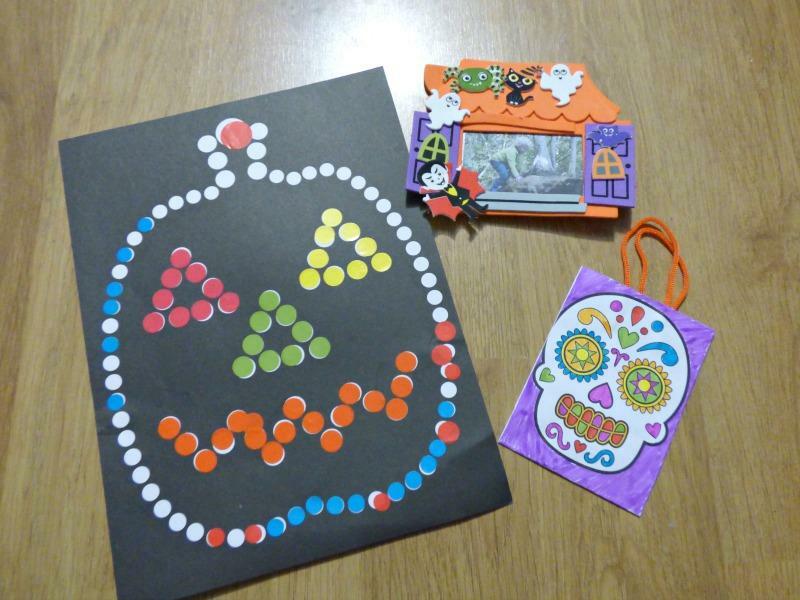 Lastly they turned to the Halloween Dotty Art, which has 8 different sheets and 16 sheets of stickers, which is plenty to complete all the pictures. There are too many to do for one person in one sitting as many dots are required for each picture, so this is best as an activity over several days or perhaps for a Halloween craft party, where the kids can do it altogether. 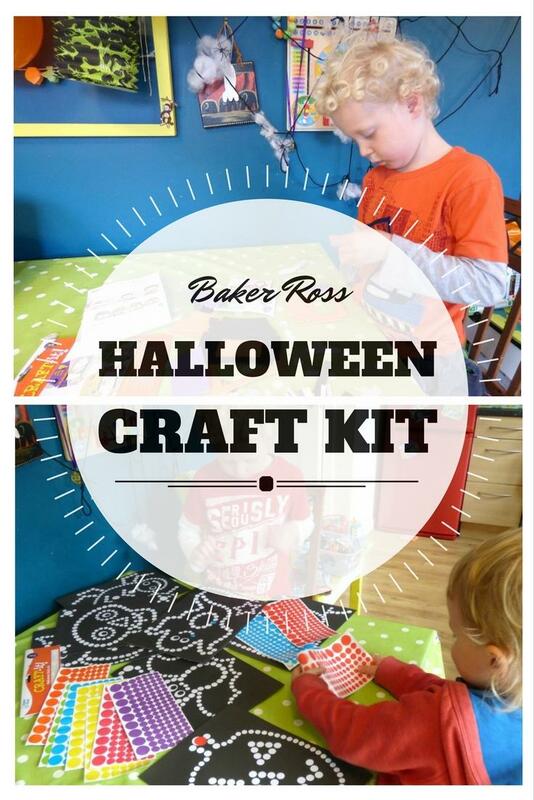 These are all great and easy ideas for crafts and there are plenty more ideas over on the Baker Ross website. * We received these kits for the purpose of this post. 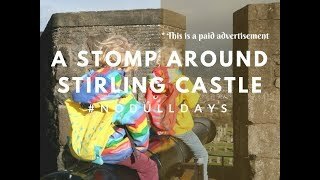 Oh these do look fun! 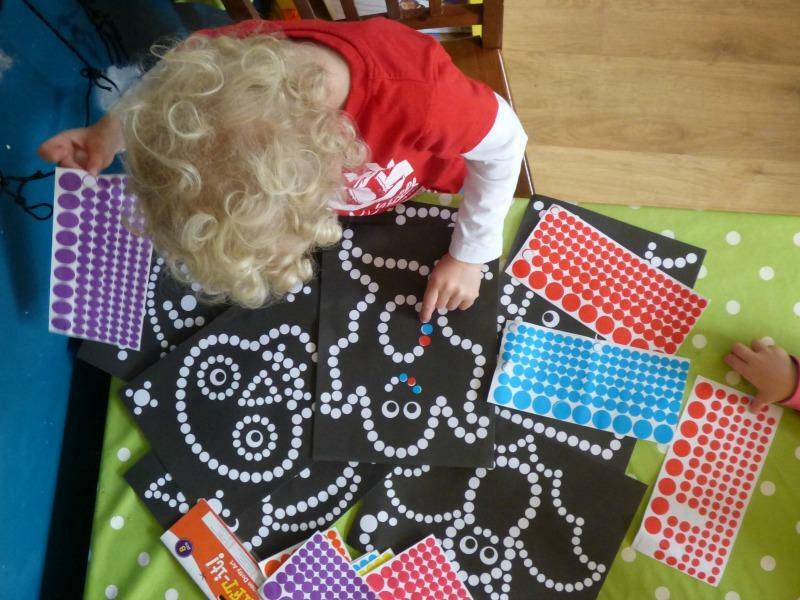 My girls would love the dotty art ones, there’s nothing better than spending hours with a sheet of stickers!